Has your furniture lost that fresh, clean look and feel? 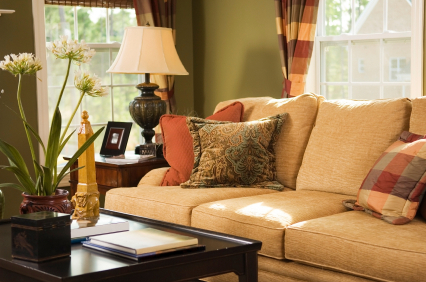 If you have children or pets, then you’ve likely chosen easy-to-clean upholstery. Sometimes, though, those store-bought products don’t get rid of all the discolorations and odors. Don’t give up hope! It’s time to call King’s Carpet Cleaning. Our professional technicians have years of experience cleaning all types of upholstery, including printed cotton, leather, and suede. Our multistep cleaning process removes contaminants, leaving you with a fresher, cleaner home. We Use Environmentally Friendly Products! including the contact name and phone number of your representative. We will review all requests submitted and contact at the numbers provided. In order to be included within the current year's donation plan, you must submit your request within the first 2 months of the current year. © 2010 Kings Carpet Cleaning. All rights reserved.